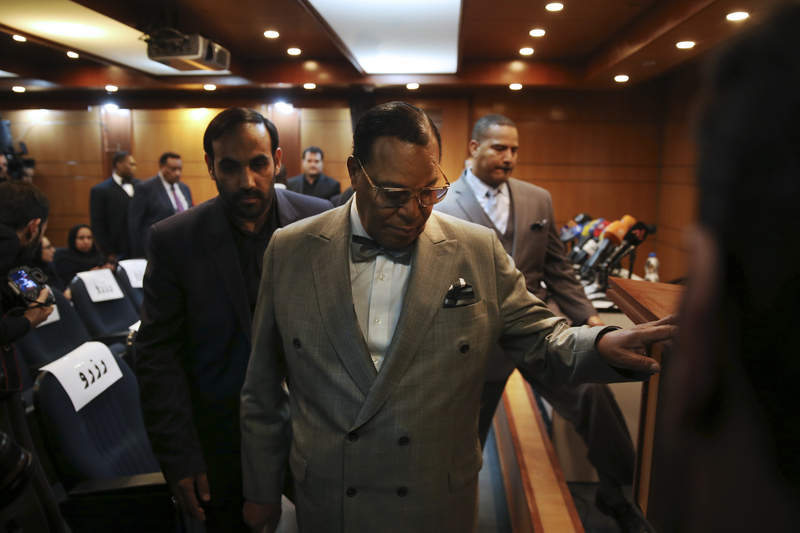 Dubai - Minister Louis Farrakhan, the leader of the Nation of Islam, warned President Donald Trump not to pull “the trigger of war in the Middle East . at the insistence of Israel,” speaking Thursday while on a visit to Iran. How does this Amalaik survive the big "C" , and continue to spew his hate ??? This is Obama and Clintons buddy. I'm so glad Trump is our president. Well, obviously as the Americans step away from leadership and disengages from the world, the chance of war increases. The US no longer has much leverage with anyone in this region and has no real interest in peace. We are heading towards war. We may get there. Did he bring them more money from his partner in crime Oh-bomher? How does ICE allow this momzer to reenter the USA with impunity? When Jane Fonda came back from North Vietnam, she was harassed by customs. However, our own customs department and immigration officers are afraid to confront Farrahkhan. Any opinions on this matter, from anyone?